Batman v. Superman: Dawn of Justice is the long awaited gladiator match between two iconic superheroes: Batman and Superman. The film is about Superman (played by Henry Cavill) being questioned by the public about his actions on Earth. While this is happening, Bruce Wayne a.k.a Batman (played by Ben Affleck) investigates Superman’s actions on Earth and tries to find his weakness, so that Superman can no longer be a possible threat against the world. Throughout the movie, we meet other iconic figures such as Lex Luthor (played by Jesse Eisenberg), Bruce’s butler, Alfred (played by Jeremy Irons), and Diana Prince, a.k.a Wonder Woman (played by Gal Gadot). Batman v. Superman is D.C’s first step in the formation of the Justice League, with the big three joining and fighting together. 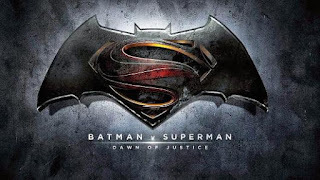 Batman v. Superman has great action and acting that will stun and entertain a wide variety of viewers.